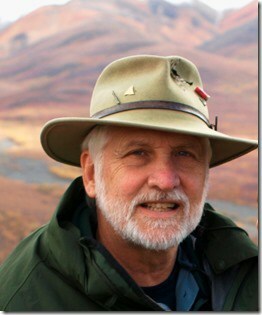 Bud Cole, a retired elementary school teacher, is a freelance outdoor/travel writer and photographer based in Cherryville, Pennsylvania. He is also a former ski instructor and member of the National Ski Patrol. Bud enjoys fishing, hunting, archery, hiking, biking, golfing, skiing, snowshoeing, gardening, kayaking, sailing and of course traveling. He writes about his outdoor adventures and the many venues he visits to satisfy those pursuits. His regular newspaper column, “Buds View,” published in 8 regional newspapers, covers outdoor experiences, wildlife, conservation and nature study. He travels with his wife Bev and their dog Blue, often writing about pet friendly travel destinations. Bev is his personal editor and lends her woman’s perspective to his writing. Cole is a regular contributor to the Ohio Valley Outdoors, Pennsylvania Magazine, Pennsylvania Game News, Outdoor Adventurer, and the Baltimore based Recreation News. He is a member of the Pennsylvania Outdoor Writers Association and the Outdoor Writers Association of America. As owner/director of the mobile Three B’s Nature Center and through his writing, one of his primary goals is to motivate young children to learn about and appreciate nature while they participate in outdoor experiences.